Mary Brouder, Eimear Brophy and Sile O Riordan pictured at Limerick and Clare Education and Training Board’s Further Education and Training Centre Open Day in Abbeyfeale today. 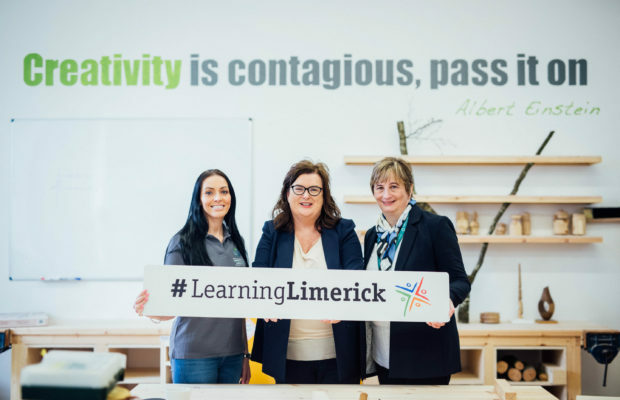 Visitors experienced the large variety of course options on offer through taster sessions at Limerick and Clare Education and Training Board’s Abbeyfeale Further Education and Training Centre Open Day on Tuesday the 9th of April. The public met learners and tutors at the centre and got to sample course areas like woodturning, engineering skills, horticulture, cookery, sewing, art, upcycling and ICT. Visitors also enjoyed a demonstration on sign language and could take part in a CV workshop with the ETB’s Information and Guidance Support Service. 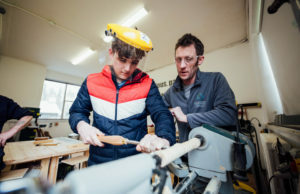 New courses for September at the Abbeyfeale campus include: part-time woodturning courses, both beginner and accredited to QQI Level 3; and a full-time 12-week core engineering skills programme, which would be ideal for any person considering a future career in engineering. A new sign language course will resume again in September, with both beginner and accredited level courses. 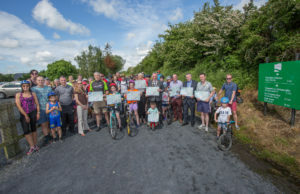 The Open Day also focused on the wider variety of provision available in the ETB’s Limerick West further education and training centres, with a well-stocked farmers’ market stall from An t-Ionad Glas (Organic College), Dromcollogher Campus. There was also information provided on full-time and part-time courses in the ETB’s centres in Shanagolden, Newcastle West and Dromcollogher. 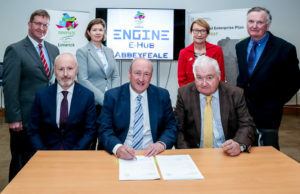 The Further Education and Training Centre, Abbeyfeale Campus is situated in Mountmahon on the Limerick side of the town (on the site of the old Vocational school). It operates day courses Monday to Friday, and evening classes are available on Tuesday and Wednesday. 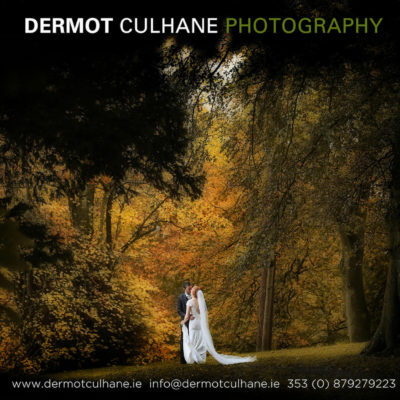 Classes range from non-accredited up to QQI Level 5 Major Awards and are aimed at those wishing to return to education after a long absence, or those wishing to up-skill in a new area. Classes are delivered in a relaxed, supportive atmosphere where learners can learn at their own pace. Entry to classes is arranged through an informal meeting with potential learners, where the course requirements are explored, and learner support needs to be reviewed. This ensures the learning experience is positive for the learner. Additional courses can also be arranged, to provide extra support in areas such as ICT or learning skills.